CHICAGO, ILLINOIS. 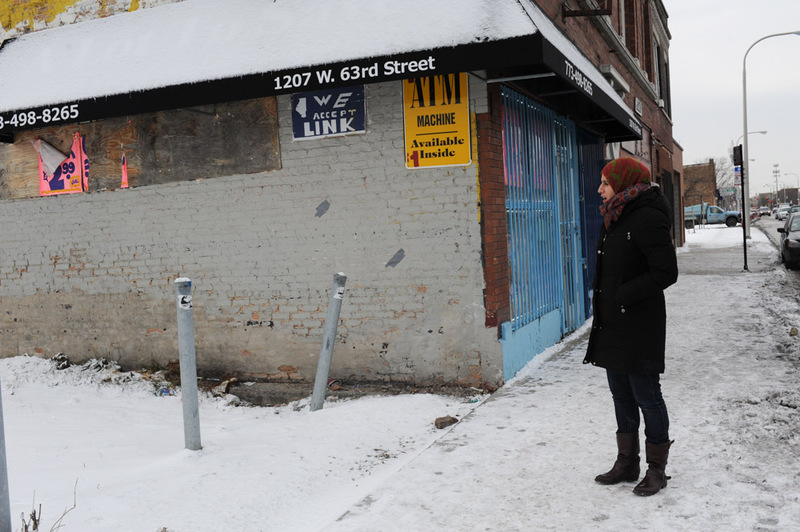 Sara Hamdan of the Inner-City Muslim Action Network (IMAN) stands in front of Alot To Save Food at 1207 W. 63rd Street in the Englewood neighborhood on January 5, 2015. IMAN works with corner store owners in low income neighborhoods to provide customer and storeowner alike with fresh fruit and produce.